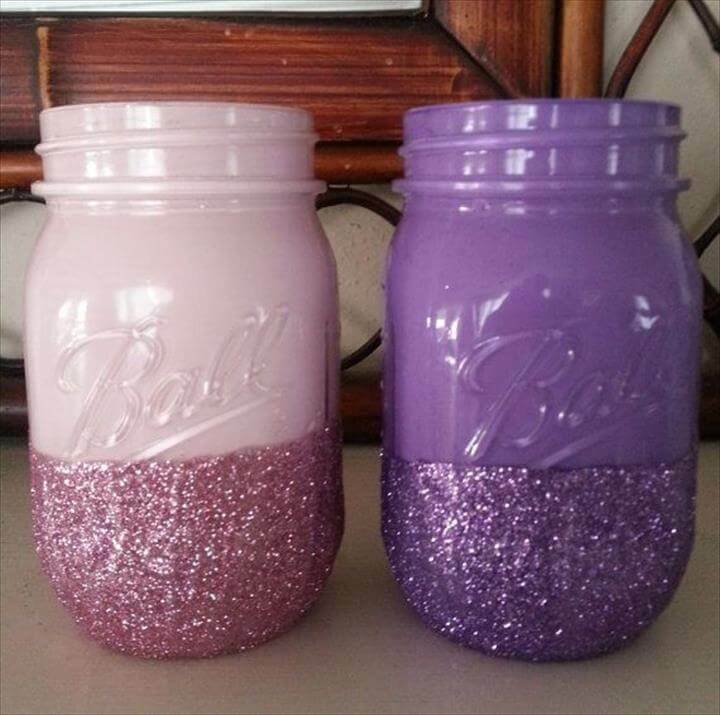 We have already discussed a lot about the incredibly talented Mason jar that how they are capable for so many home decor and home organizing crafts. But it’s like we can never finish talking about the Mason jar as something new and more awesome comes from their after some time. And today we are with another fascinating avatar of the Mason jar and you would surely be mesmerized after watching them. 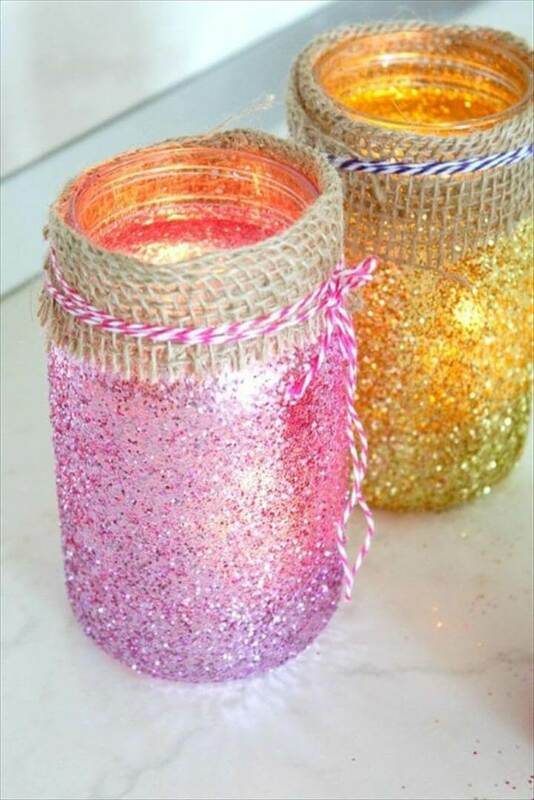 Glitter is also one of the most favorite materials for fun craft lovers especially for the kids crafts and home decor projects. 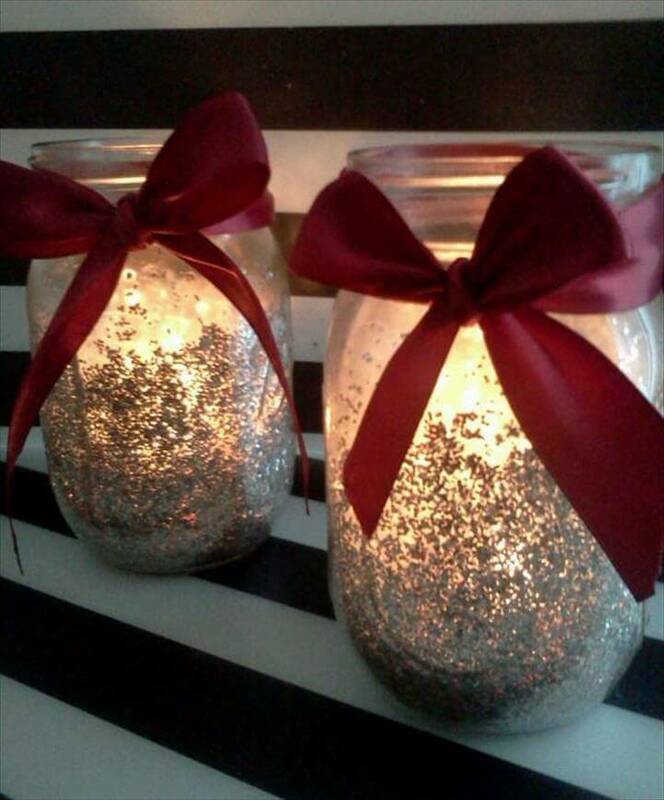 Glitter can instantly beautify anything or everything coming in contact with it and so are the mason jars. 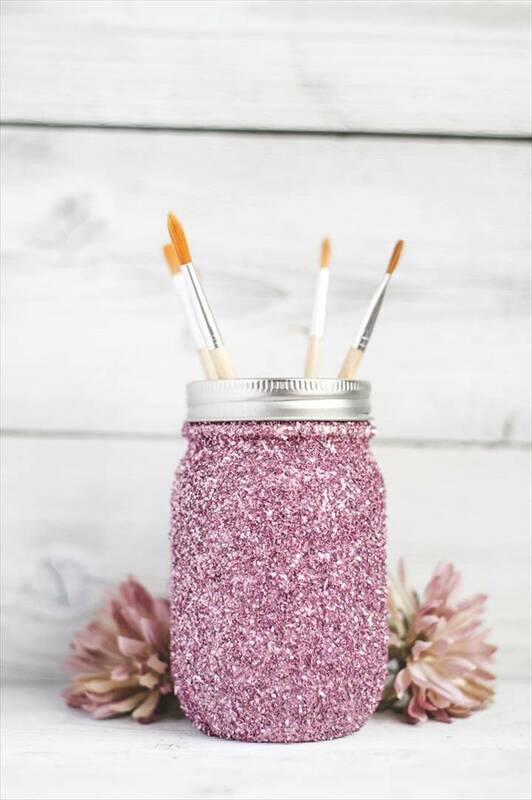 Our today’s post is particularly about the 35 DIY glitter mason jar tutorials letting you enjoy more gorgeous mason jar possession than ever. 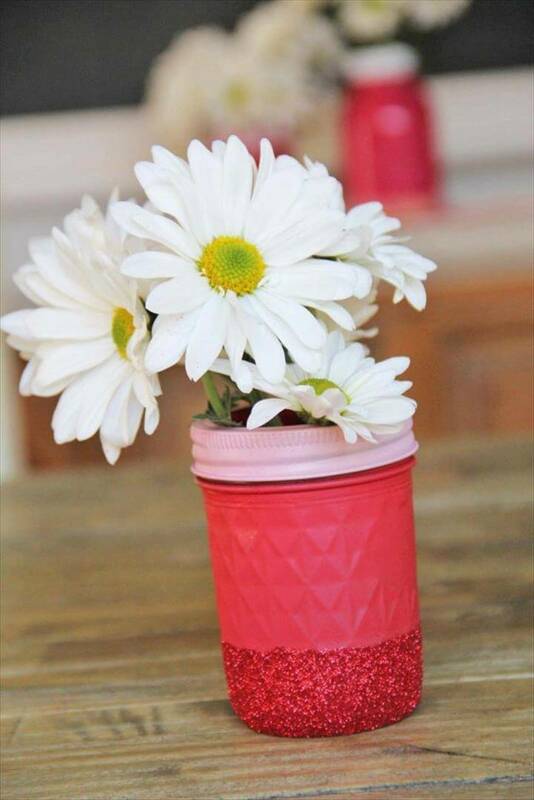 Mason jars can be used to store home accessories, make up stuff, crafting material and even the stationery items of the kids. 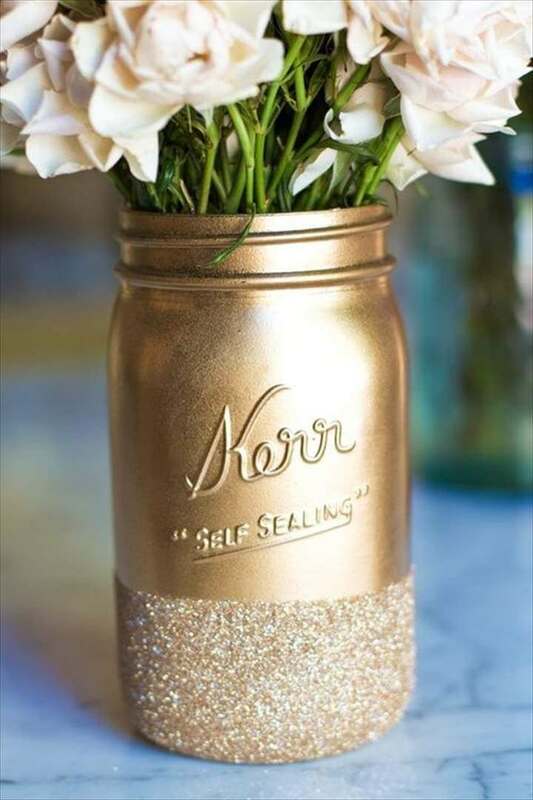 Further they make lovely planters, vases, herb gardens, and candle votives with a touch of paint, lace, ribbons or colorful twines. 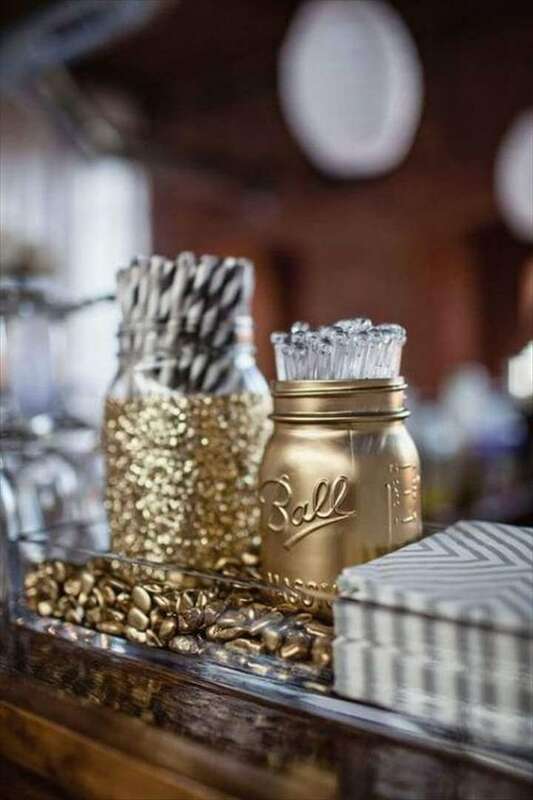 But these tutorials would show you how the glitter can add a spark of beauty to all these functional and decorous avatars of the mason jars making them look more gorgeous and eye catching. 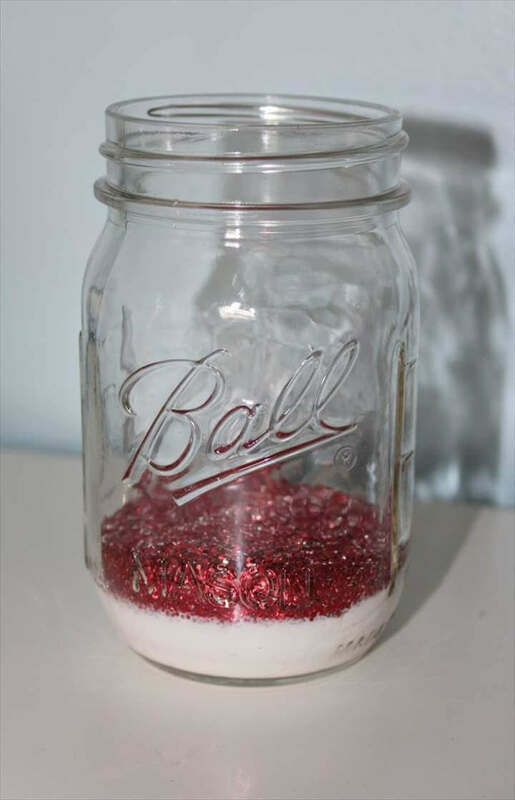 Use one color glitter or combine a few to get them glued gorgeously on the empty mason jars and turn them into something fancy and enchanting. 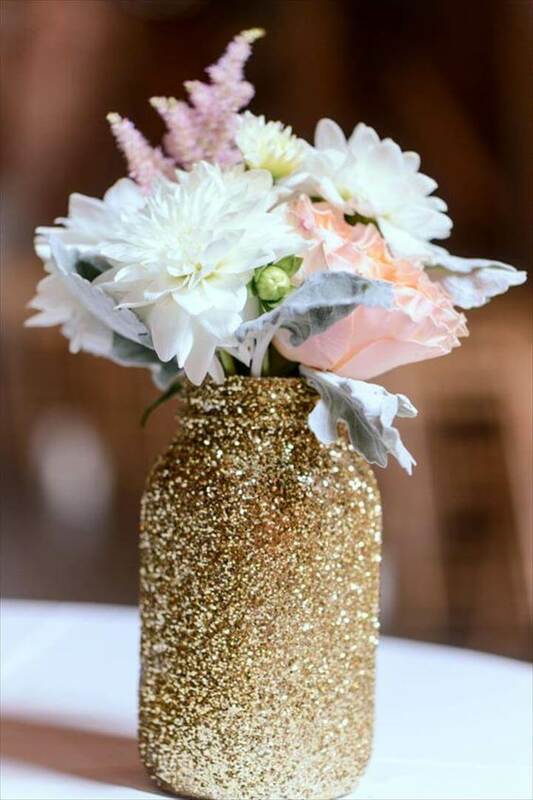 So either it is a Mason jar holder, planter, DIY vases or candle votive it would look just utterly gorgeous and delightful with a glitter cover up all over it.